Return to sunny Fireball Island, travel to the far moons of Jupiter, and get ready to SMASH CITY in this week’s newest board game news brief. Much hullaballooed marble-rolling 3D game Fireball Island was reignited on Kickstarter to the tune of almost three million dollars – and the game is now out! Featuring upgraded components, all new art style, and MARBLE ROLLING ACTION, this familyweight game of adventure and FIREBALLS is now available. The base game box, enormous as it may be, will run you only 50 dollars while each of the expansions adds small elements to improve the game – including an entirely new pirate ship side board. 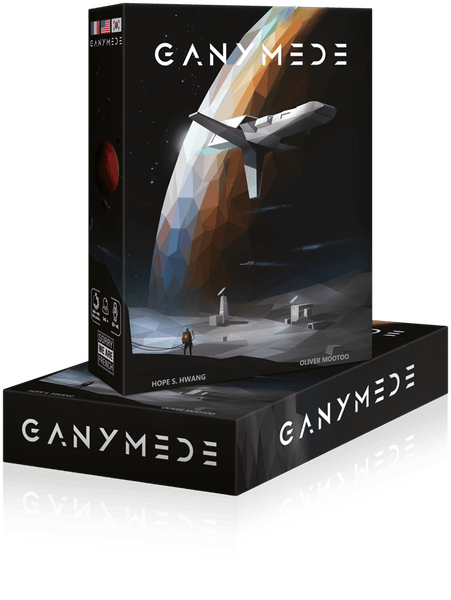 One of the games I got to try at Essen was Ganymede, a gorgeous Splendor-alike that has you ferrying passengers to the Jupiter moon of Ganymede for launch outside the solar system. Featuring gorgeous watercolor-style art, this sci-fi take on the tableau builder has some really innovative ideas and for me, at least, completely replaces Splendor. Look for more news as it gets closer and closer to release. Flickfleet marries two ideas that honestly people should have thought of years ago – dexterity and space combat. Flick dice at your enemies! Flick your ships into position! Flick your fleet! It’s honestly a super charming looking game and you should go check them out. 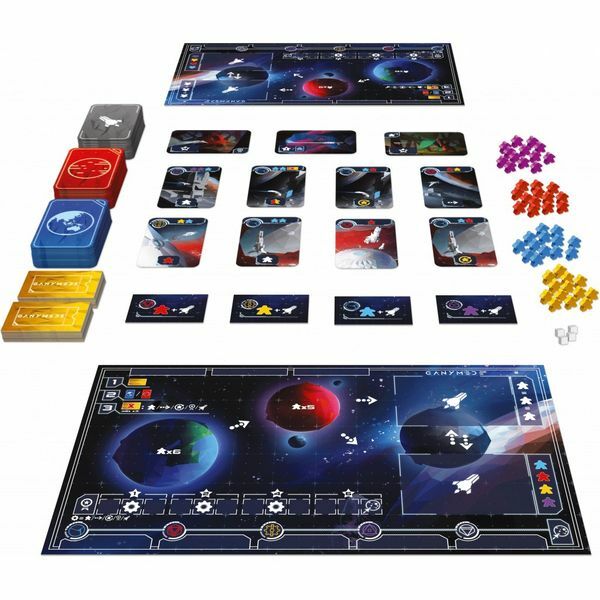 Luna by Stefan Feld is coming back in a deluxified edition with all new stuff! screenprinted wooden meeples, metal moon-shaped coins – don’t worry though, there’s a non-deluxe version still available for a lower price. The game itself is a worker placement in which you send your novices to construct shrines, gain influence, and generally gain the favor of the moon priestess. Hailed for innovative mechanics and solid gameplay, here’s your chance to go Luna! Rallyman GT is an update of the smash hit 2009 racing game Rallyman, now with all-new art and fine-tuned rules. Thanks for reading the news brief! Have you checked out our holiday gift guide yet? Get ready for the shopping season with our guides to winter themed games, family titles, and greatest games – with a two part in-depth look here and here!